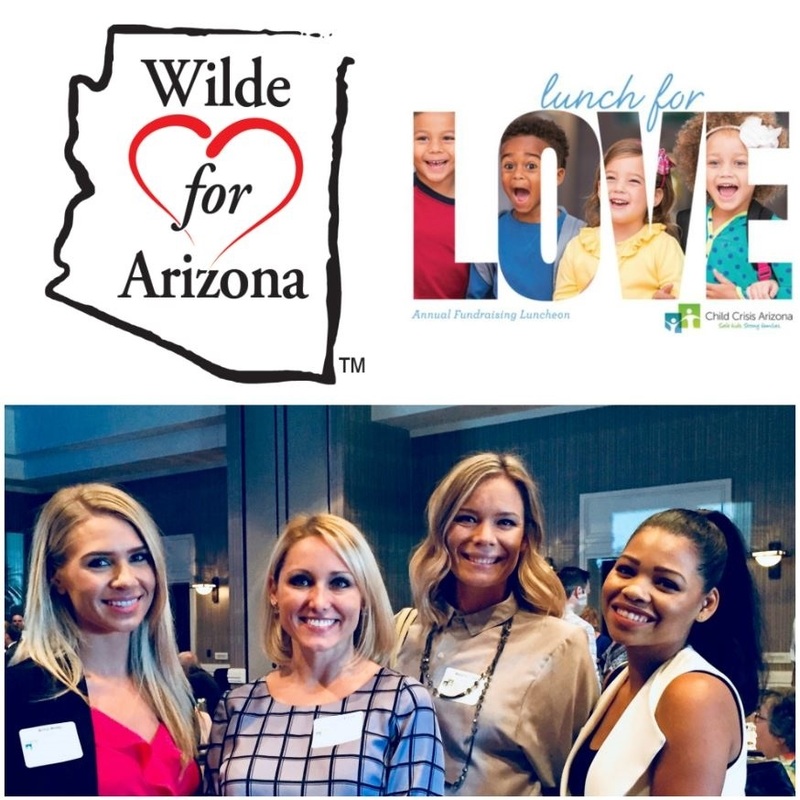 #WildeforArizona was pleased to donate $1,000 at the 2018 Lunch for Love fundraiser for Child Crisis Arizona. Through the powerful messages shared at this event, our staff will be better equipped to explain the vision of Safe Kids, Strong Families to those visiting any one of our 3 valley office locations. Don’t forget – for each new follower AND each time you ‘check-in’ to a Wilde Wealth Management Group office we’ll donate $1 to Child Crisis. We even have QR Codes at each reception desk to make checking in easier.